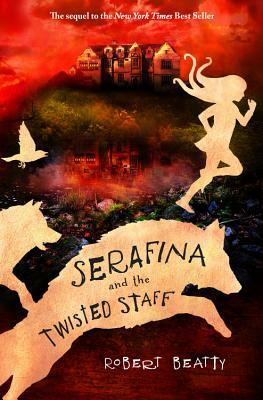 July 15 (Friday) 6 pm — The Streets at Southpoint Barnes & Noble in Durham hosts Asheville author Robert Beatty for Serafina and the Twisted Staff, book two in his 1890s Biltmore-set series for young readers after Serafine and the Black Cloak, out from Disney-Hyperion. OK, now! Let’s talk about ConGregate! The program schedule is online, with quite a lot on the schedule this afternoon ahead of tonight’s official opening ceremonies. They are expecting a good crowd this year, no doubt boosted a bit by a really fun news segment on WFMY‘s morning show, starring some of the con staff, and have just a fantastic lineup (again) of guests, from writer guest of honor Steven Barnes, artist guest of honor Lindsey Look, special author guest A. J. Hartley, musical guests Valentine Wolfe, and plenty more authors including David B. Coe, Gail Z. Martin, and many more. 5:30 p.m. — Concert by Gray Rinehart — Gray is a really fun (and talented) filk musician, and if you haven’t had a chance to sing along with the chorus of “Tauntauns to Glory” or “The Monster Hunter Ballad” do catch him sometime this weekend! 8:30 pm — Not sure this is on the actual program guide, but there’s a big multi-author launch party where David B. Coe will be be launching Children of Amarid, and others launching books include John Hartness, Gail Martin, Stuart Jaffe, Chris Kennedy, Samantha Dunaway Bryant, Cheralyn Lambeth, and Michael Williams. Books will be signed, fun conversations will be had, and if there’s not a nice little spread of food to be had, I’ll be shocked. Shocked, I tell you! 10 pm — Another one I didn’t see on the program guide is the ConCarolinas-Atomacon-Geek Gala room party where there’s rumor of a big ConCarolinas announcement. 10:30 p.m. — “Campfire Songs” — a fannish singalong! Going along with ConGregate 2016’s theme of “Geek Summer Camp” come sing along with all kinds of fannish songs. Libations recommended. 10 am — Allen Wold’s “regionally famous” writers workshop — register ahead of time to save your seat! 7:30 p.m. — Award Ceremony — Join as we present The Manly Wade Wellman Award for Science Fiction in the Carolinas! 9:30 pm — Charity auction! 11 pm — Always-hilarious (and often insightful) John G. Hartness among those on the “But I Liked That Guy” panel on killing off your characters. This should be a good one! And Sunday morning there’s another Tai Chi workshop with Barnes, ahead of another day of panels and signings and programming. And if all that isn’t enough to keep your interest, I’ve been told that there are at least two pokestops at the hotel itself, not to mention at the nearby train station and other sights nearby. So! See you there? July 24 (Sunday) 6 pm — 11th annual Can’t Stop the Serenity charity screening of the Firefly film Serenity. Raffles, costume contests, and the usual fun goings-on. Note: A limited number of tickets are still available. Lastly, though in the interest of actually getting this out at noon today I’m going to hold off on most of the news and story sales that I’ve been gathering for the next newsletter, but, as this Kickstarter campaign closes on August 3 there’s no time like the present to point out that Garner artist Gabriel Dunston’s work is featured in Alienish: How Fast Can You Master an Alien Language? All right, that’s all the news for now, except for one “new-new” event since the June newsletter to highlight: July 29 (Friday) 7 pm — The B&N of Durham’s New Hope Commons hosts local comics writer Jeremy Whitley for his newest graphic novel Princeless: Raven the Pirate Princess Book 2: Free Women. All right! See you at ConGregate! This entry was posted in Friday Quick Updates, Uncategorized and tagged congregate, gabriel dunston, robert beatty. Bookmark the permalink.